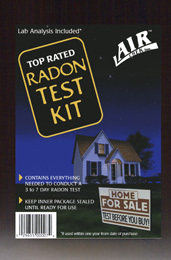 A short-term (3-7 days) activated charcoal (AC) radon gas test kit. This kit includes instructions, a prepaid return mailer, and lab analysis. A complete written report can provided by mail, fax, or email.